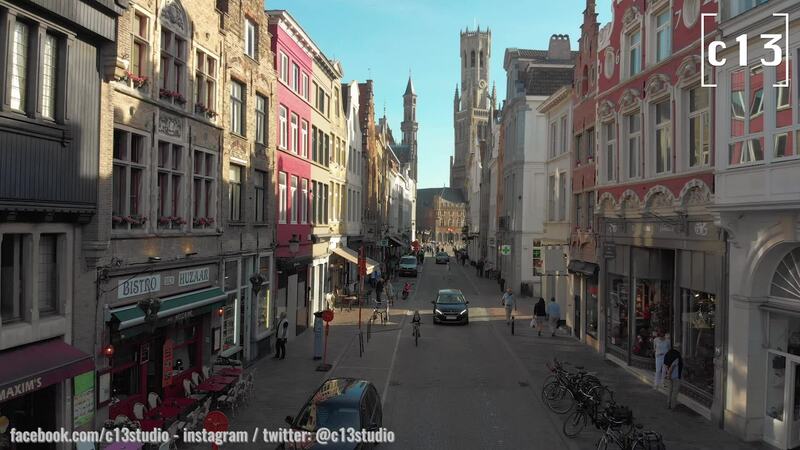 Contributor c13studio brings us this amazing drone's eye view of the medieval town of Bruges. Situated in the West Flanders province, Bruges became an important town in the cloth trade during the late Middle Ages. Incredibly well preserved, it's a UNESCO World Heritage cultural site. Sometimes referred to (along with Amsterdam) as the Venice of the north due to its canals, Bruges was the shooting location of the 2008 film In Bruges. Description: Bruges is the capital and largest city of the province of West Flanders in the Flemish Region of Belgium, in the northwest of the country. The historic city centre is a prominent World Heritage Site of UNESCO. Along with a few other canal-based northern cities, such as Amsterdam, it is sometimes referred to as the Venice of the North.